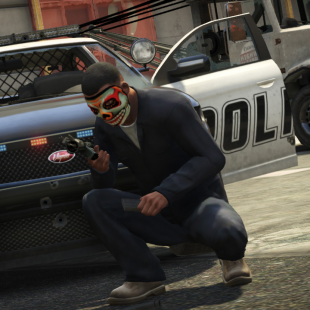 A petition to keep Grand Theft Auto V on consoles wants PC gamers to "stop stealing games." Grand Theft Auto V will be releasing tomorrow on Xbox 360 and PS3 and, as of right now, PC gamers are something of an odd man out. With no PC version yet announced, hopeful fans have taken to the internet campaigns and petitions to convince the game's developers at Rockstar to invest in a port to computers. Change.org, for instance, is currently playing host to a pro-PC port petition that boasts more than 350,000 signatures. That's not the only petition on the website concerning the game, however. A second, aimed at keeping GTA V console exclusive, recently broke 10,000 signatures. Started by one Trevor Phillips, the "Don't Make a PC Version of GTA V" petition was launched with the apparent goal of making "PC gamers learn their lesson" so they'll "stop stealing games." In other words, it's an anti-piracy petition. It, of course, ignores the fact that game piracy also happens on consoles and that reports of game piracy on PCs may be somewhat exaggerated. Even if PC piracy were that bad however, we can't help but feel that Rockstar adopting this sort of policy would be akin to salting the garden to kill the weeds. Granted, a single glance at this petition gives us the impression that this was more an attempt at flame-baiting than anything serious, but still, 10,000 signatures? Really? It's a good thing the pro-PC petition is there to offer an overwhelming counterbalance. Our faith in humanity might have slipped some, otherwise.